Parade kicks off at noon at Robson Street in the West End. 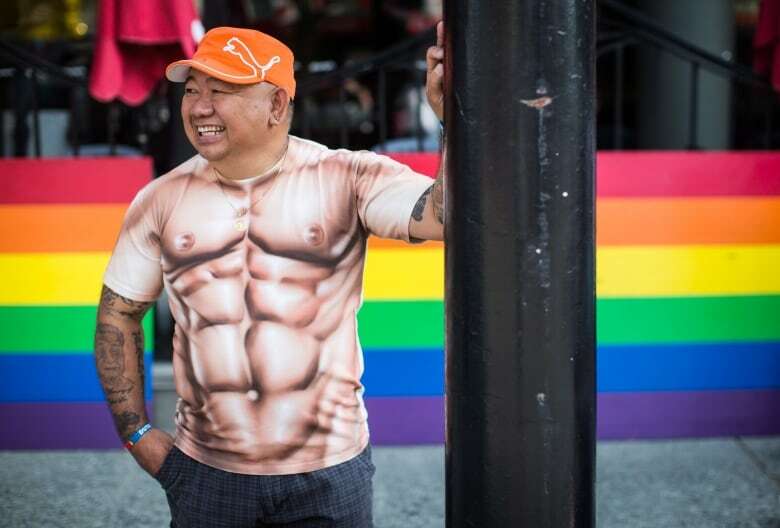 Road closures will start as early at 7:15 a.m.
Road closures start as early at 7:15 a.m. and continue until 4:30 p.m.
Prime Minister Justin Trudeau marched in Vancouver's 40th annual Pride Parade in the West End neighbourhood Sunday. 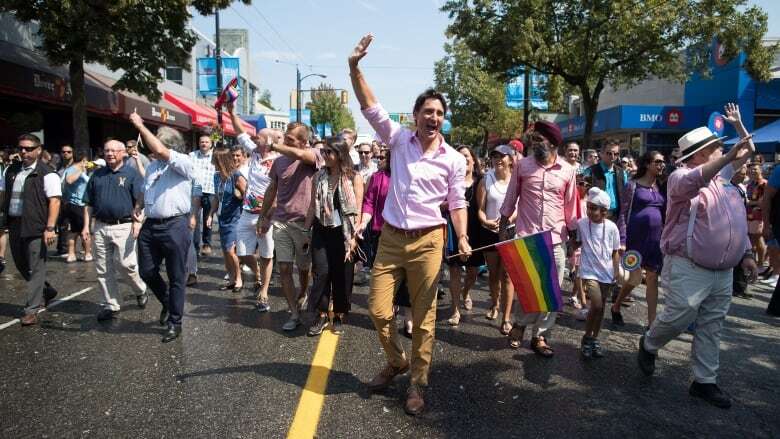 Trudeau previously marched in the parade in 2016, but was not in attendance last year. Hundreds of thousands of people attended the parade, one of several official events that started Saturday and continue for more than a week. The prime minister's appearance marked a weekend tour of British Columbia for Trudeau, who visited a B.C. forestry centre on Vancouver Island Saturday and the Richmond Night Market in Metro Vancouver that evening. On Sunday, Trudeau told the crowd that while many places in the world could do with more tolerance, Canada should move beyond simply tolerating the differences in its communities and choose to love them. 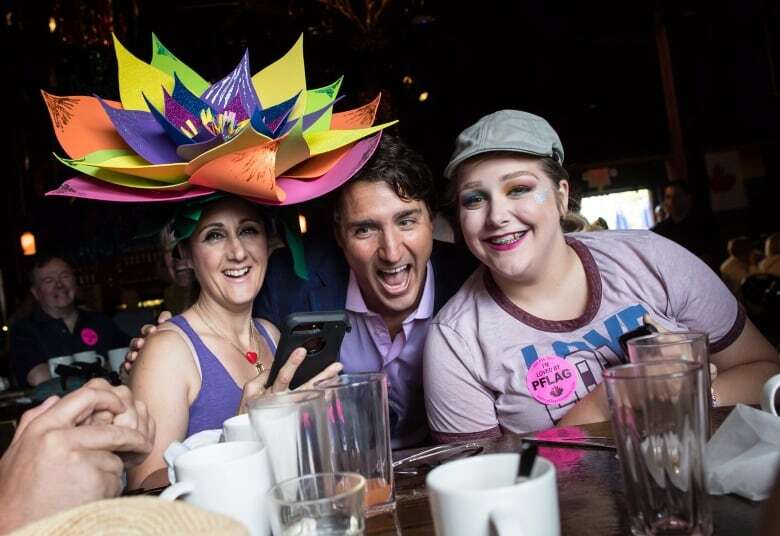 Trudeau was flanked onstage by longtime Vancouver Centre MP Hedy Fry and PFLAG Canada spokesman Colin McKenna. McKenna gave the prime minister his thanks for the apology the prime minister offered to the LGBT community in the House of Commons last November for decades of discrimination. The parade kicked off at noon at the intersection of Robson and Thurlow streets, making its way down Denman Street and ending on Pacific Street near Thurlow. Road closures started as early at 7:15 a.m. and continue until 4:30 p.m.